Thank you for your business! Ready to order? Download our app today! 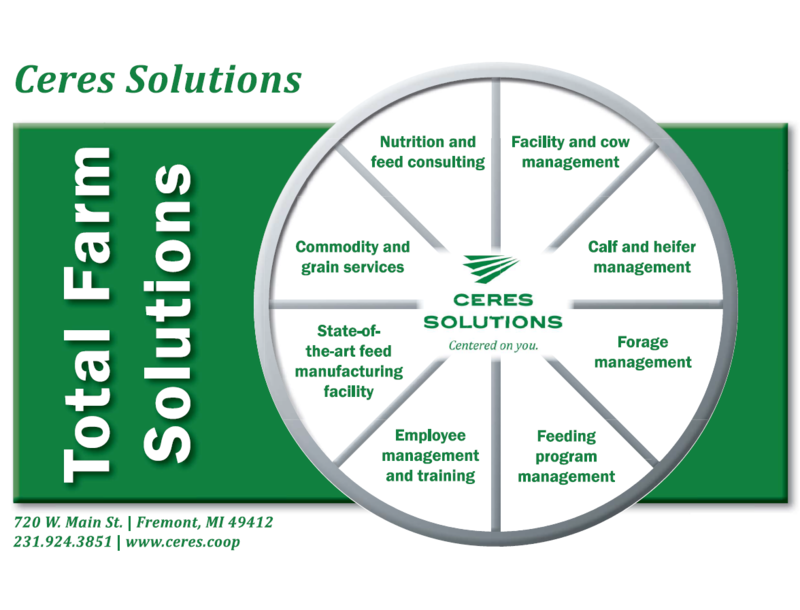 Whether it’s dairy, beef, poultry or swine, our Ceres Solutions animal nutrition team has the feed solutions for you. From our state-of-the-art feed manufacturing facility operating out of White Cloud, Michigan, and through our partnership with Synergy Feeds in Indiana, we’re proud to offer the expertise and capabilities to meet all of your animal nutrition needs. Helping producers maximize the value of livestock feed through efficient, customized nutrition programs and quality products is our priority. 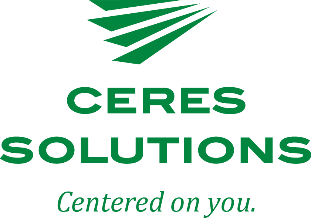 At Ceres Solutions, our professional team is dedicated to playing a vital role in your operation’s success. Our nutrition specialists provide the most cutting edge feed and nutrition information and technologies, and our services extend well beyond nutrition and feed consulting. We take pride in bringing Total Farm Solutions to the producers we serve. Our knowledgeable nutrition specialists provide consulting for all types of livestock. We believe in formulating the most production-efficient rations for your profitability using quality ingredients that promote productivity and excellent herd and animal health. We take time to evaluate your total operation and provide the best ration formulations and management guidance to address the needs of your animals, your operation and your bottom line. Our White Cloud location is equipped to offer bulk commodities delivered directly to your farm. Listed below are commodities generally available for bulk purchase. For more information on commodity purchasing, contracting, selling and risk management, contact Ceres Solutions commodities manager, Kurt Bergstedt, at 231-924-3851 or kbergstedt@ceres.coop. Our newly operational, leading-edge White Cloud feed manufacturing facility allows us to fully service all of our customers’ feed needs while remaining competitive in the marketplace through increased operational efficiencies, top-of-the-line quality control and enhanced biosecurity measures. A passionate team of consultants will regularly take a 360-degeree look at your farm, offer the latest in research and resources, and provide the information you need to optimize production and profitability on your operation. How can we serve you?